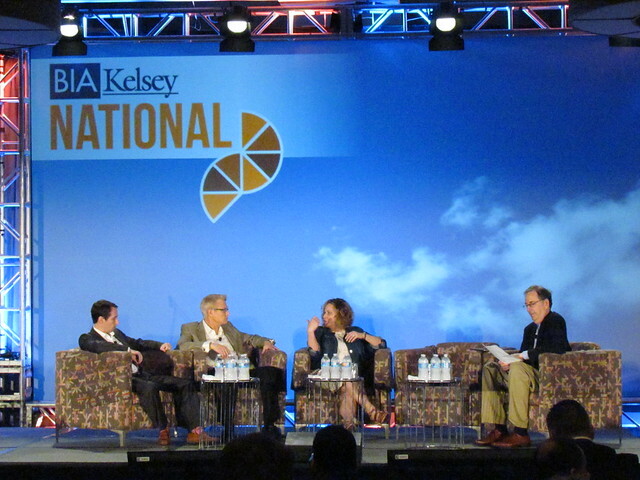 To kick-off BIA/Kelsey NATIONAL, the analyst team sits down to review 2015 – 2019 local advertising across 12 different channels and 94 industries, summarizing key issues for marketers over the next half decade. Steve Marshall opens with our Local Commerce Monitor results on franchisees. They send $87K-plus, the highest level of marketing spend among the SMBs BIA/Kelsey tracks. They are highly engaged in digital — 42.9 percent of 2015 spending will be on digital; again, far ahead of the average SMB. Franchises also spend at least 10 hours a week on social networks. About 85 percent maintain customer lists (compared to only about half of SMBs have customer lists in digital form). Seventy-one percent of franchises will have a loyalty program this year. This is a vindication of loyalty programs. Hand in hand with these loyalty programs, franchises are driving huge investments in discounting — 50.7 percent of revenue will be due to discount sales tied to loyalty programs. This is the wave — loyalty and discounting — that will sweep the local space. There will be a much deeper, more committed relationship between the franchises and customers. Co-op advertising represents about $50 billion in U.S. spend annually and franchisees are the most prevalent users of co-op (more than 50 percent of all co-op monies flow through franchises). As a result, they want more analytics and analysis for their planning and assessment of campaigns. Next up, Mike Boland discusses technology, particularly mobile.